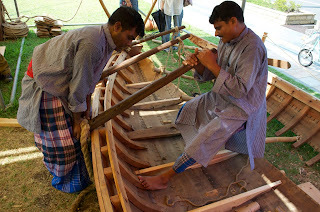 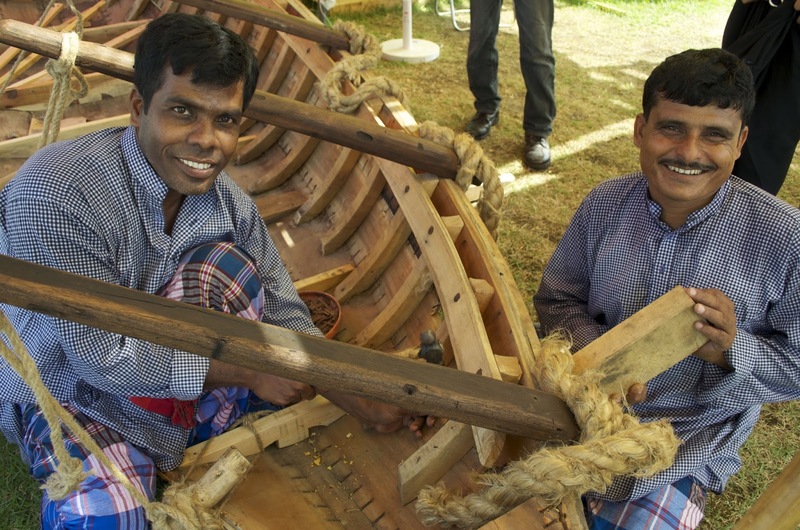 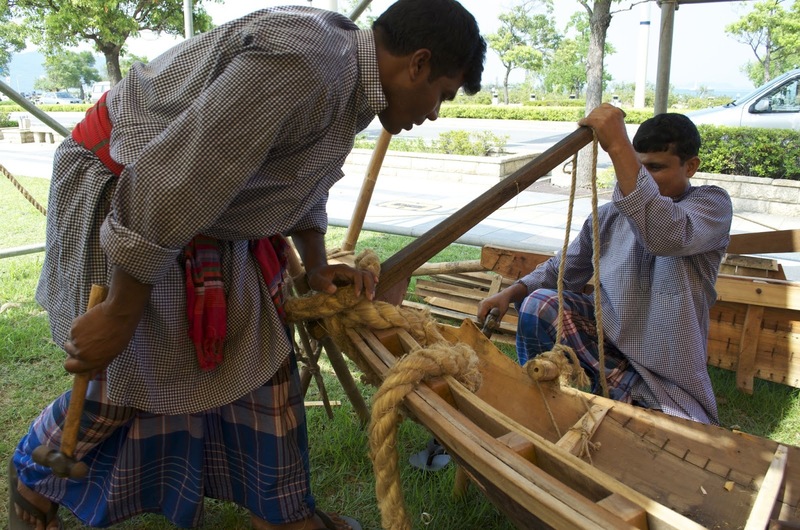 We’ve been sharing techniques and tools with our neighbors at the Festivale, a pair of Bengali shipwrights who are assembling a 12-foot dinghy. Its a remarkable boat. They had it shipped here finished, then took it apart at the futtocks and have now begun to reassemble it. All the plank edges have a shiplap and they scarf the planks using a joint similar to the one we used to connect the stem and keel. 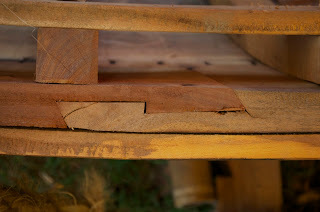 Today they showed us their method for pulling the planks tight before fastening. A large jute rope is anchored to a piece of bamboo on one side of the boat then wrapped around the hull and pulled tight with a large hardwood lever. They pulled the boat together with three of these and then fastened before moving forward. 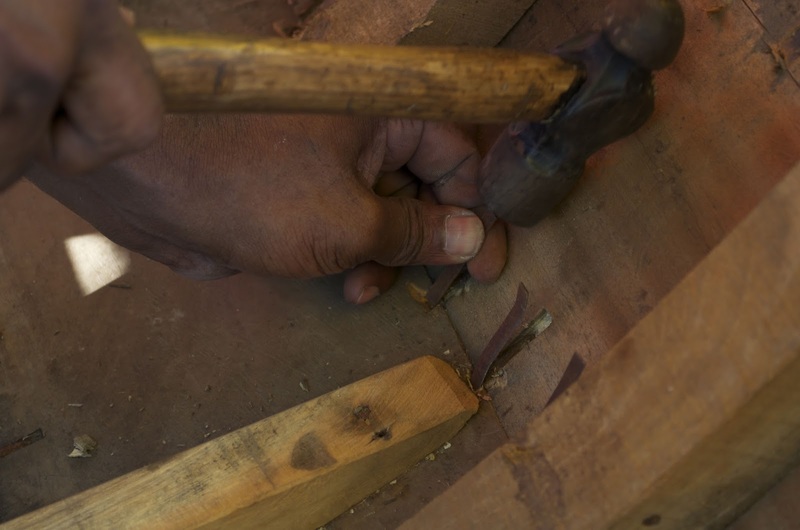 The nailing is from both inside and outside the hull. 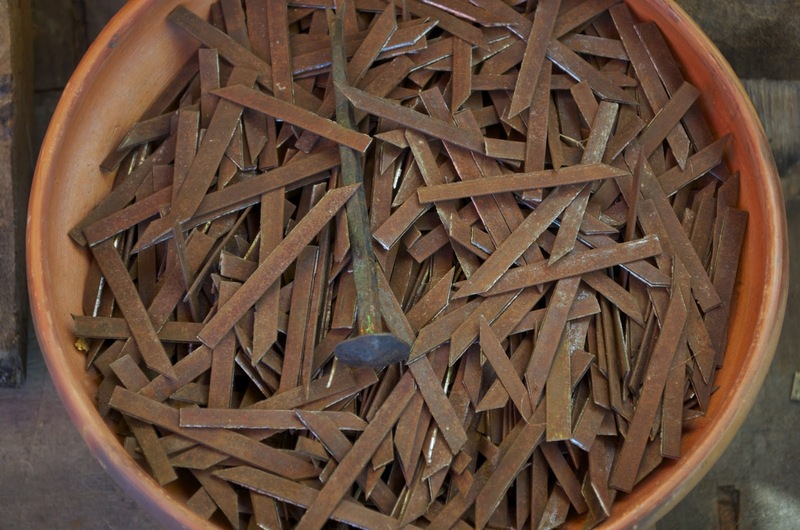 The nails are cut from sheet steel with one beveled end. They cut a small mortise across the seam and pound the pointed end in, then bend the nail and hammer it into the other end of the mortise. 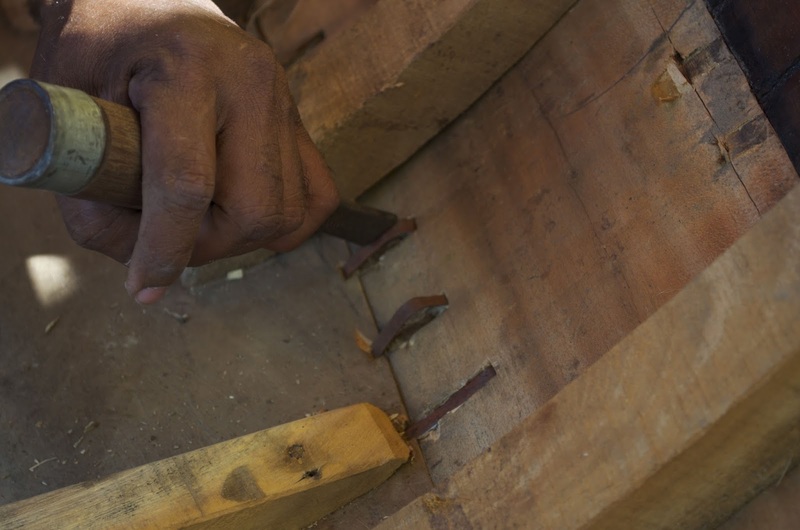 You will notice the seam is not centered on the nail, but the nails on the exterior are aligned opposite, so the fasteners are equalized. 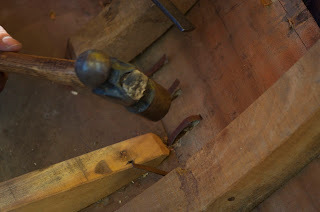 The other reason the nails are not centered on the seam is that with a round hull they would stand proud in the center where the curvature was great. Their interpreter has told me that this technology also applies to larger ships in Bangladesh. 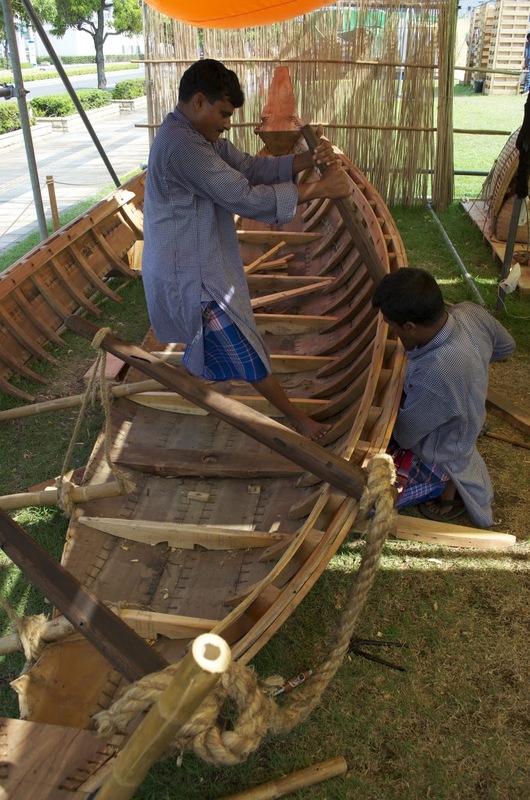 He and the shipwrights are part of an NPO working to preserve the culture of boat and shipbuilding there.